Some 1,400 South Korean high school students were found to have plagiarized their college admission essays last year, data showed Wednesday. According to the data, provided by the Korean Council for University Education, 1,406 students were disqualified from admission over plagiarized personal statements. 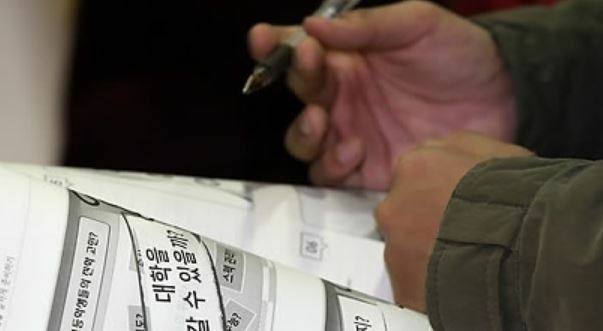 Universities throughout Korea began using plagiarism detection software in 2011, disqualifying applicants whose essays show significant levels of similarity to works published online. The software sorts essays into three categories, with level A essays showing less than 5 percent similarity and level C essays showing more than 30 percent similarity. Level B essays, those in the in-between category, undergo human checking to determine whether the similarities stem from plagiarism. In 2016, a total of 1,502 essays were categorized as level B, and 1,390 of those were disqualified. Last year, the total number of essays assessed as level B amounted to 1,537.